The ubiquitous M4 Sherman medium tank evolved from the M3 Lee medium tank pressed into service as a stop-gap model in 1941. 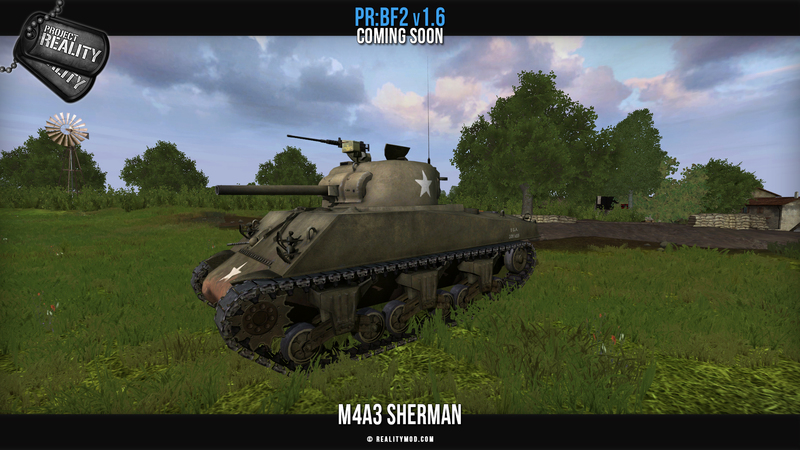 The M4 entered service in late 1942, outperforming its older sibling in every aspect, the Sherman went on to become one of the most widely produced armored fighting vehicles of World War II. It was well armored, relatively fast, and cheap to produce, becoming the backbone of Allied armored divisions on the Western Front. 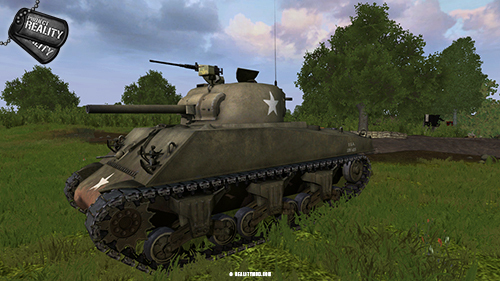 The M4A3 variant comes with a Ford GAA V-8 engine and was one of the more common variants. Ours is equipped with a 75mm cannon. 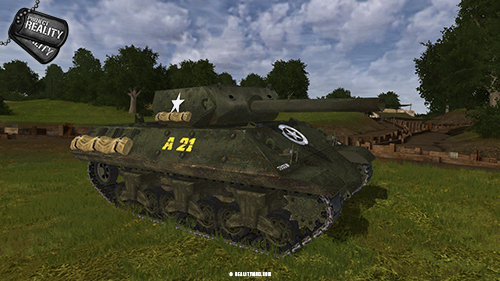 Another asset that has come from the Battlegroup42 mod and brought to the BF2 engine by Anthony and General Bradly is the American M10 tank destroyer, previously discussed in our last status update. The work on it is now finished! While we originally planned to use a very high quality model by diStefan, we could not efficiently implement it into our old game engine. 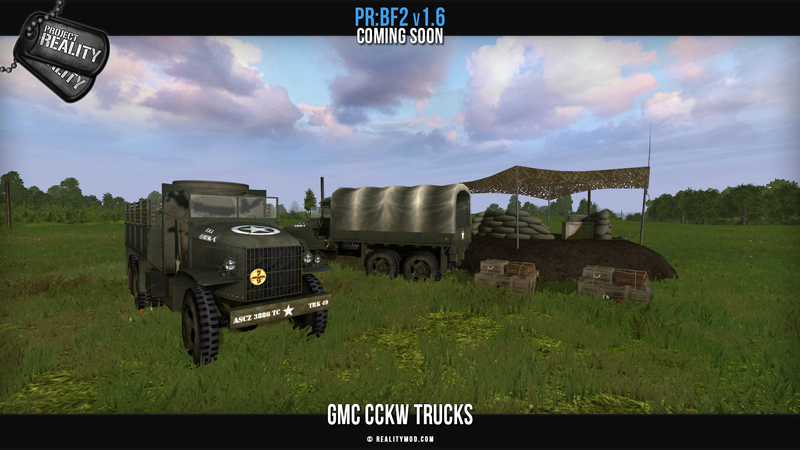 Therefore we have now implemented the Battlegroup42 mod's GMC CCKW Trucks to be used in v1.6 to be used as historically accurate trucks instead of the M35 trucks used during the last BETA. The GMC CCKW also known as "Jimmy" was a 2½-ton 6x6 U.S. Army cargo truck that saw heavy service in both World War II and the Korean War. The original "Deuce and a Half", it formed the backbone that kept Allied armies supplied as they pushed eastward after the Normandy invasion. 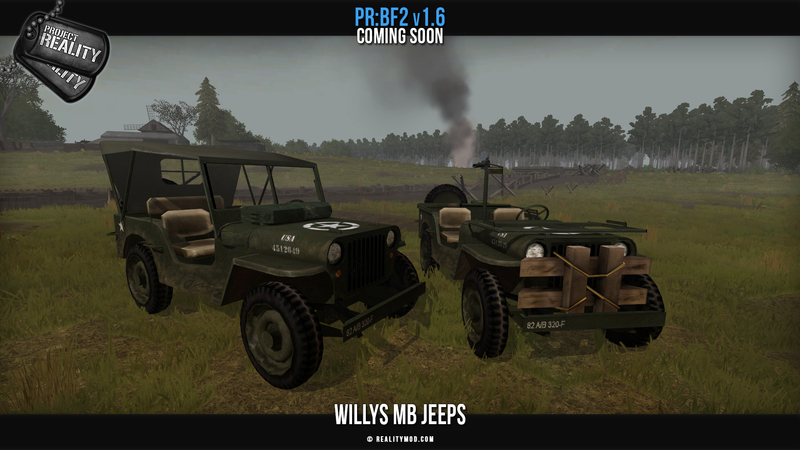 Another replacement to fix historically inaccurate assets is the Willys MB Jeeps. 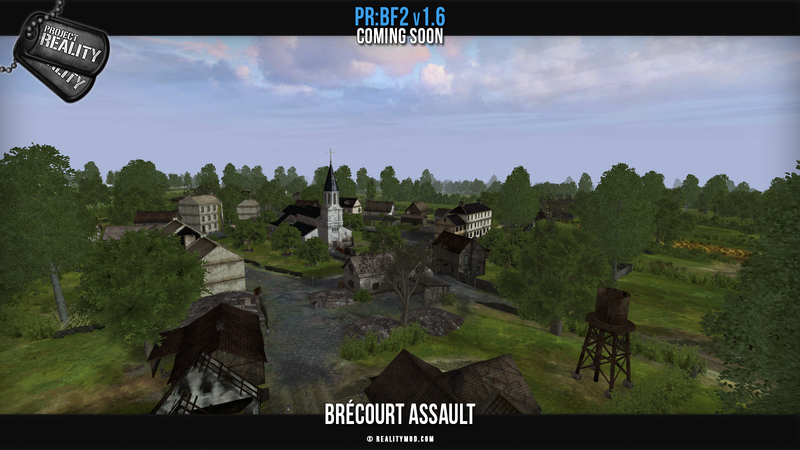 Again coming from the Battlegroup42 mod who graciously allowed us to use their library of assets. And Anthony and General Bradly who helped us implement these into the BF2 engine. 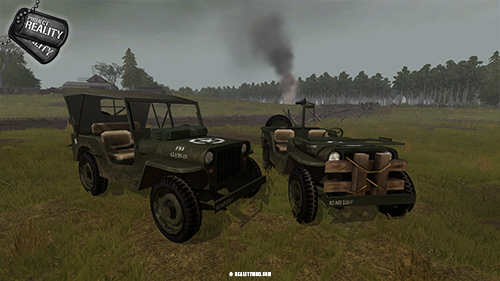 The Willys MB jeeps are off-road capable, light, military utility vehicles that were manufactured from 1941 to 1945 for the Allied forces. The jeep became the primary light wheeled transport vehicle of the United States Military and its Allies in World War II, as well as the postwar period, with President Eisenhower once calling it, "one of three decisive weapons the U.S. had during WWII." It was also the world's first mass-produced four-wheel drive car, manufactured in six-figure numbers. About 640,000 units were built, constituting a quarter of the total U.S. non-combat motor vehicles produced during the war, and almost two-thirds of the 988,000 light vehicle class produced, together with the Dodge WC series, outnumbering those by almost two to one. 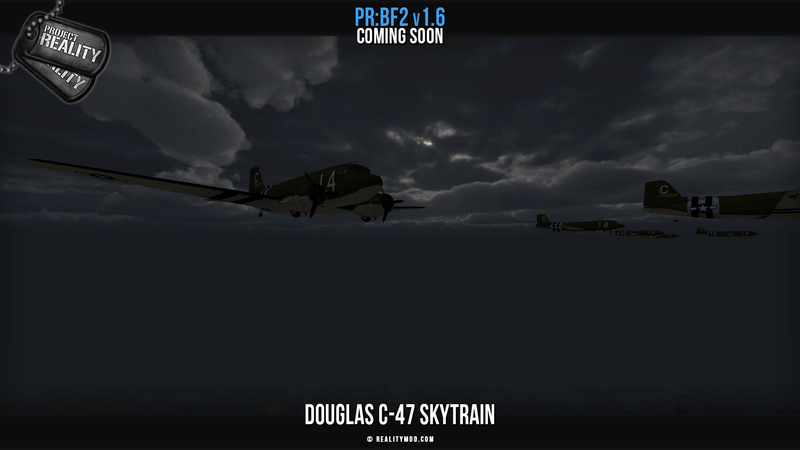 For those who remember the old ALPHA days of the PR:Normandy project, there was a layer of the map featuring the C-47 skytrain for the US paratroopers. We are wanting to re-implement this feature for the upcoming release. 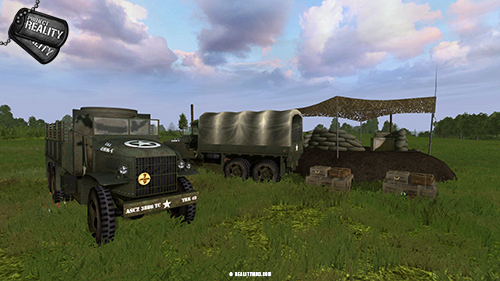 We have improved the original C-47 model by Commie and the textures for the upcoming release. 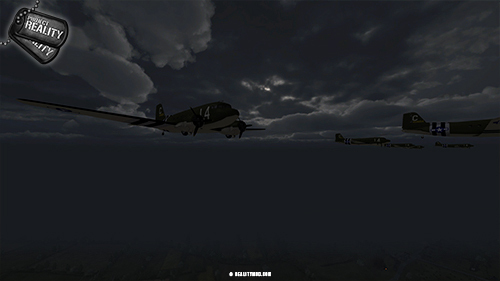 The 'gamemode' featuring the C-47's is still being worked on for an initial implementation on the night layer of Omaha Beach. So this feature is uncertain to make the v1.6 release at this point in time. The CV90 is a modern infantry fighting vehicle that serves as the backbone of the Dutch Armed forces. The specific variant used by the Dutch comes with a Bushmaster III 35/50mm cannon capable of firing 150 to 200 rounds per minute. With it's 810 horsepower engine and suspension designed for sub arctic conditions the CV90 is a very mobile and powerful vehicle. The vehicle also provides excellent all round protection against heavy machine guns and smaller auto cannons. 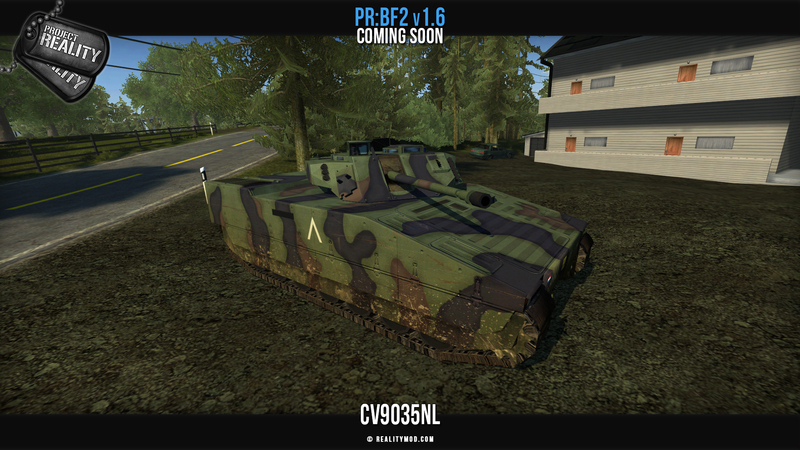 The CV90 has been in the works to be implemented into PR:BF2 for almost a decade. Being originally modelled by for the Norwegian and Finnish community factions. 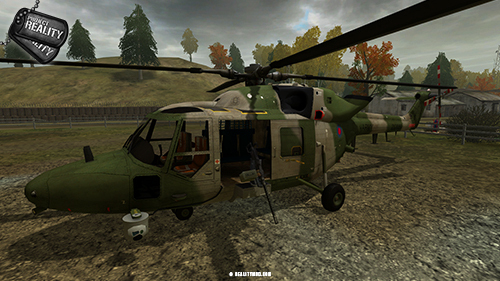 We now implemented a model we received from the Dutch Armed Forces mod for Arma II, made by Vilas. 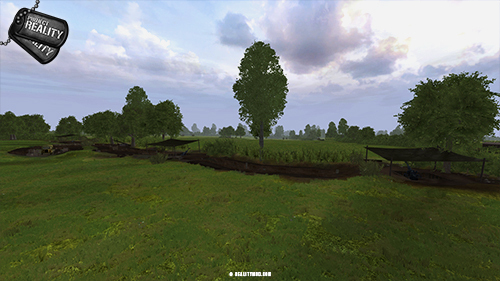 Recently it was worked on by [R-DEV]CTRifle and [R-DEV]Mr.VdHeide to turn it into the Dutch variant and make it work in-game. It's final coding is currently being worked on by [R-DEV]M24_Zwilling. 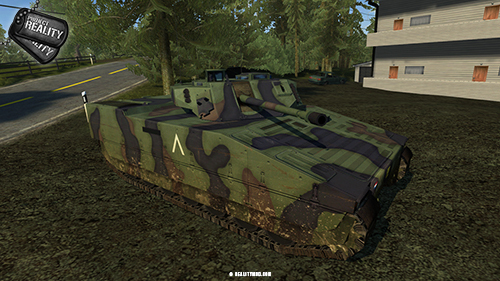 In the upcoming update the CV9035NL will fill the gap between the Boxer and the Leopard. 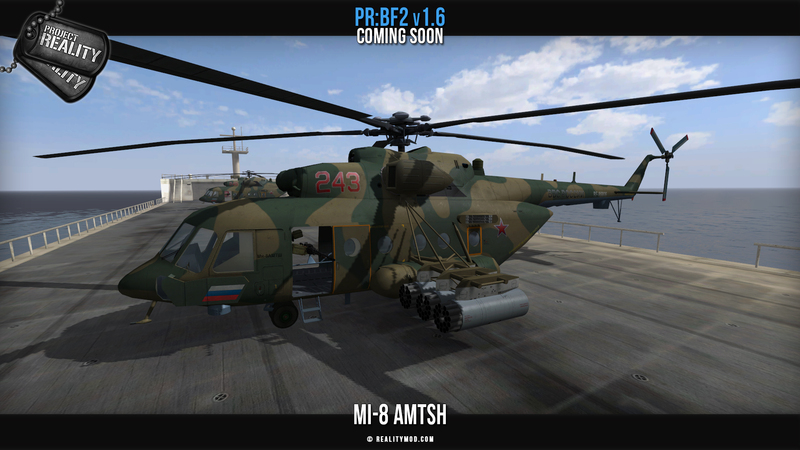 Previously shown in a Dev-Blog, the new modernized Mi-8 AMTSh (NATO reporting name "Hip"), a transport and assault helicopter now widely used by the Russian Armed Forces will likely see it's implementation in v1.6. It is planned to replace the vanilla BF2 Mi-8 for the Russian forces. 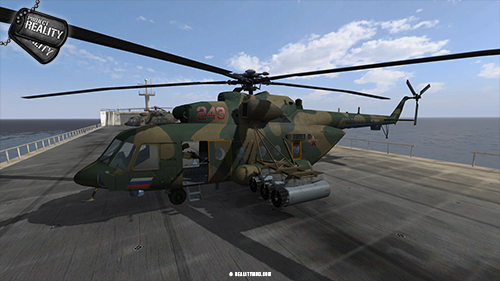 This helicopter model and textures were made by [R-DEV]Hokunin and is awaiting final coding before being ready for release. Previously teased on [R-DEV]Rhino's Twitter and shown in detail in the recent highlight, the updated Lynx AH.9A is making its debut in v1.6. In late 2008 an "Urgent Operational Requirement" contract was undertaken by AgustaWestland to upgrade the Army's Lynx AH.9 aircraft to support operations in Afghanistan with integrating improvements developed for the new "AW159 Lynx Wildcat" which was still well in development, into the old airframe. This most notably included the new CTS800-4N engines (that where originally developed for the cancelled RAH-66 Comanche program but had been adapted for the Wildcat program), which transform the performance of the Lynx AH.9, producing 37% more power than the original engines, giving the AH.9A a significant increase in power, allowing it to operate in extremely hot and high altitude conditions found in Afghanistan, and at the same time enabling to carry more equipment. The Lynx AH.9A upgrade required modifications to be carried out to the main gearbox, top deck structure and rear fuselage to accommodate the new engines. On top of the new engines and other not so notable improvements include a port mounted, rapid-fire, M3M Heavy Machine Gun, seriously increasing the firepower from the previously mounted 7.62mm GPMG & a port, nose-mounted MX-10 IR Camera with laser range-finder/illuminator that is operated by the co-pilot. 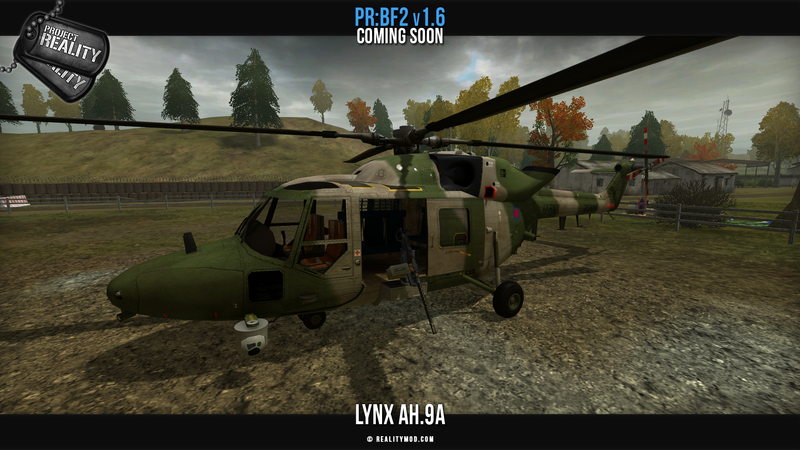 The ingame model is a modified version of PR's Lynx AH.7, which has also been fixed up and optimized in the process and still can be found ingame on historically older maps/layers. On top of the modifications mentioned above, the landing skids were removed and replaced with new wheels and suspension found on the AH.9, as well as other differences found between the AH.7 and AH.9/AH.9A. This new upgraded Lynx was developed by [R-DEV]Rhino. Following the limited success of the G41 semi-automatic rifle and the experiences made with that rifle, especially the shortcomings in its design, the G43 was the second attempt of the Wehrmacht to replace the outdated Kar98k as their standard issue rifle with a semi-automatic alternative after seeing the Soviet Union and later the US using a similar rifle with respectable and great success respectively. While overall a better rifle than the G41 in just about every aspect, the rifle had its own share of problems, some from its design, others from Germany slowly but surely running out of rare metals, which meant that the rifle was lacking in the accuracy department in order to be able to mass-produce it. This resulted in many snipers preferring the Kar98k over it, even though most G43 already came equipped with scope mount when it came off the production line. The German High Command would eventually be forced to drop plans of establishing the G43 as the new standard issue rifle, not only because of the difficulties mentioned above, but also because they had a far more combat capable, field-tested alternative - the MP43. The weapon model was done by the BGF mod with changes made by [R-DEV]w0lf3k who also recently gave it an entire new animation set as can be seen in the videos above. As one of two German service pistols during the war, the P38 never gained the same recognition the Luger had, even though it was more numerous and would continue to be fielded in the German Army until the early '90s, with slight modifications done to it to reduce weight. The then renamed P1 would then, after the Bundeswehr was founded, enter service in 1957. Loaded with a total of 8 rounds of 9x19mm ammo, the pistol was not only given to Squad Leaders, Officers, Machine Gunners and their crew during World War 2, but also was sometimes distributed to regular infantrymen under certain circumstances as well, when a sidearm was deemed necessary. The weapon model was done by the BGF mod with changes made by [R-DEV]w0lf3k who also recently gave it an entire new animation set as can be seen in the videos above. [R-DEV]Arab also worked on the weapon's sounds. Developed in 1911 by John Browning as a replacement for the .38 caliber revolver, the M1911 is a single-action, semi-automatic, magazine-fed, recoil-operated pistol chambered for the .45 ACP cartridge, which served as the standard-issue side arm for the United States armed forces from 1911 to 1985. Loaded with a 7-round box magazine, The Model 1911 .45 Automatic Pistol was first issued as a one-handed sidearm for US infantry in World War 1, then later after the war an improved version in 1924 in the form of the M1911A1. Due to the recoil, it was later issued for Officers as a sidearm for use during World War 2, The Korean War and the Vietnam War. The .45 ACP cartridge allows for great stopping power, and contains a manual thumb safety and a grip safety. The weapon model was done by the r0tzbua with changes made by [R-DEV]w0lf3k who also recently gave it an entire new animation set as can be seen in the videos above. [R-DEV]Arab also worked on the weapon's sounds. 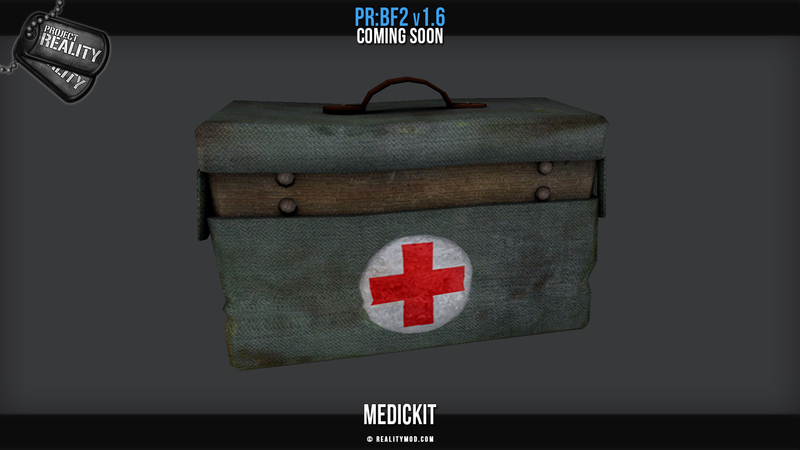 Like last time where we showed off the new entrenching tools (shovels) to create a more authentic experience by making the small weapons and objects more historically accurate, we are doing the same with the medic kit. 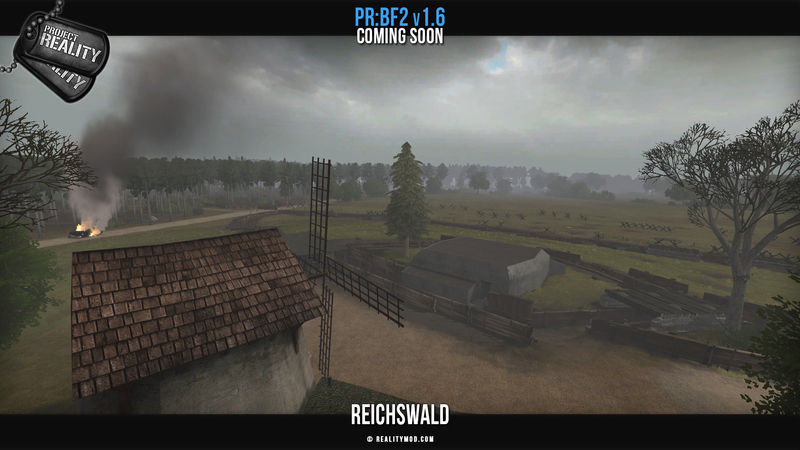 This new one will serve for both the German and US factions in our WW2 maps. The original model is by Vertici. 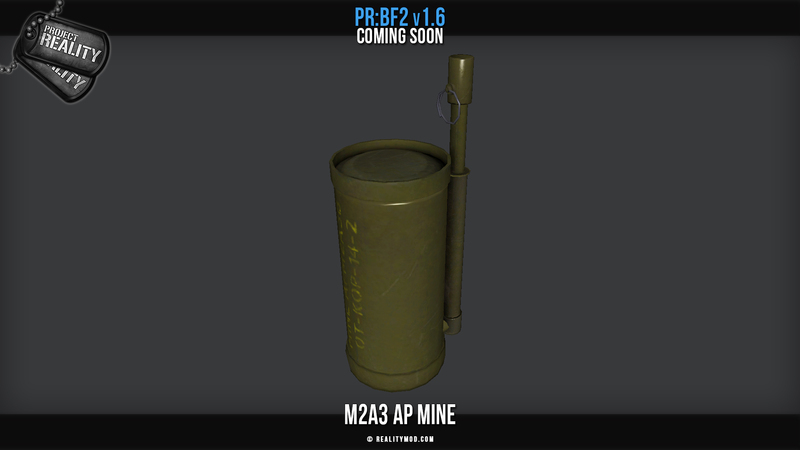 In the previous releases of PR:WW2 BETA, the M20 mine has been used as a placeholder for the US forces. 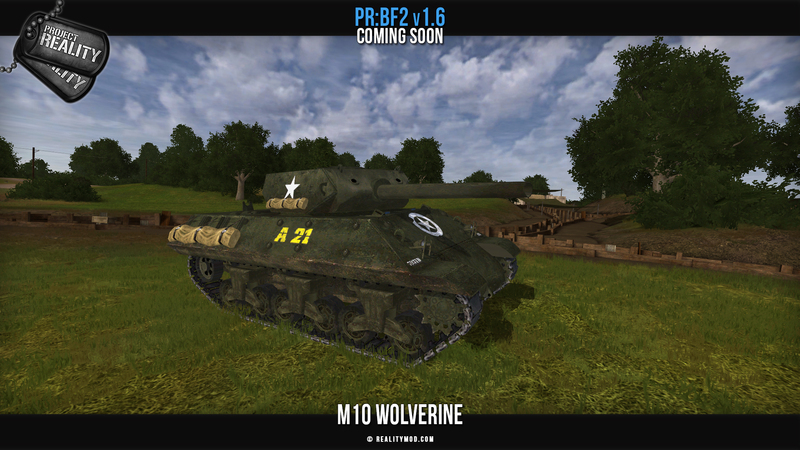 Now that the model, animation and texture work is done, the M1A1 AT Mine will finally replace it for the US Army. 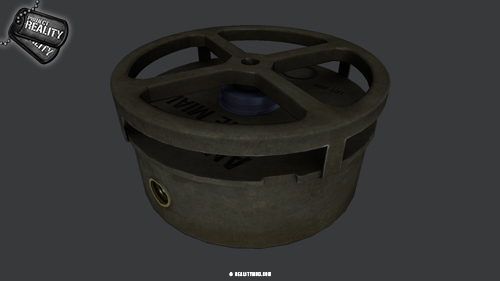 Like the M20, it is a pressure-triggered landmine and contains pressure plates. It carries 2.75KG of TNT and is classified as both an Armor-Piercing (AP) and High-Explosive (HE) landmine. Ingame, it is dug like the rest of the mines and set in the ground with the 'Spider' part exposed. The model was made by [R-DEV]DDeo. With animation work by [R-DEV]W0lf3k. 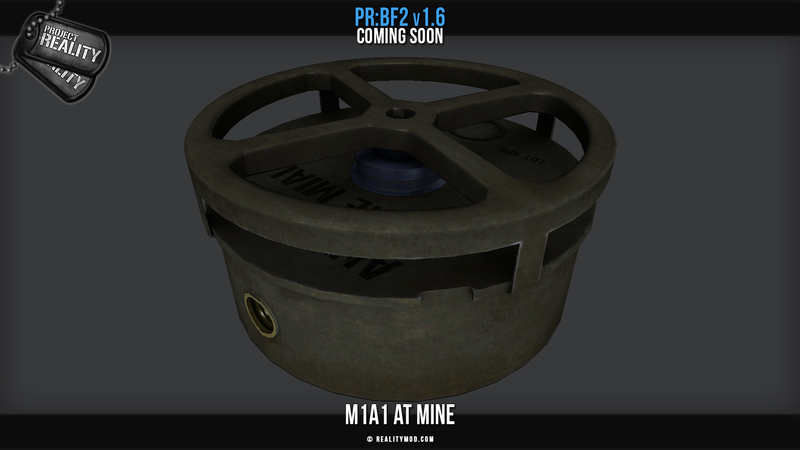 Another new mine for the US forces is the M2A3 anti-personnel Mine. 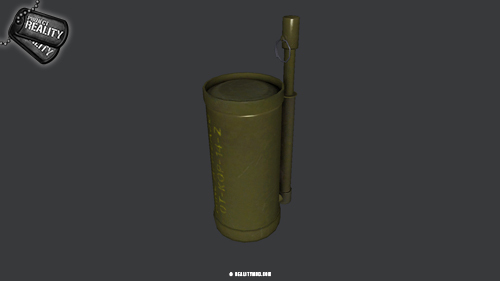 The mine consists of a cylindrical steel main body containing a 60 millimeter mortar shell body, linked to a tall thin fuze stand. The fuze stand held either a pin based tripwire fuze or a combination pressure tripwire fuze with a pronged pressure cap. Later fuzes were sensitive to pressure or pull and could be used with a tripwire. When triggered the mine launches into the air and detonates. The explosion projects a lethal spray of steel balls and fragments in all directions. The model was made by [R-DEV]CTRifle. With animation work by [R-DEV]W0lf3k. 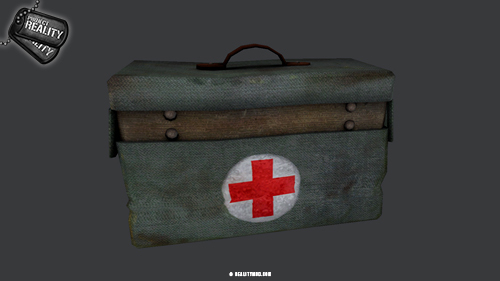 As some of you may recall, we used to have the Geballte Ladung Bundle Grenade as the primary means of demolishing FOBs and emplacements during the WW2 BETA. This posed some problems however with respect to gameplay. 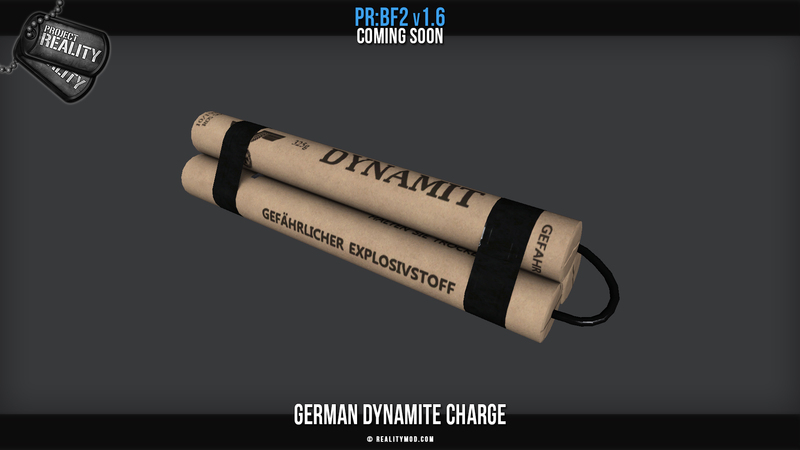 The Bundle Grenade was too powerful against infantry and vehicles alike to hand out more than a single one for Breachers as well as Combat Engineers, which in turn meant that a FOB could never be destroyed completely by a single Breacher. Additionally, being that it is a grenade, it also made destroying enemy FOBs a rather simple task as a grenade doesn't take long to be prepared - and it can be thrown. 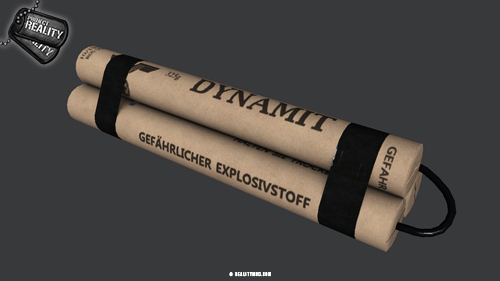 However, we found that German Engineers used simple tubes of dynamite strapped together to create more or less destructive explosive charges depending on the amount of tubes. Much like the C4 charges we use in the modern PR scenarios, these, too, work on a time-delayed fuse, making soloing a FOB a risky undertaking again. So this asset was created to fit this role. 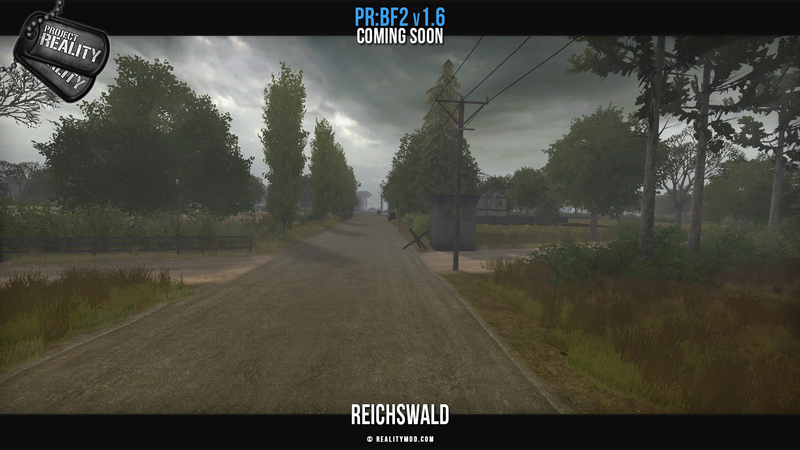 It's still awaiting animation and sound, but it can be expected to make the initial v1.6 release. While the load-outs have yet to be finalized, this would also allow for the Bundle Grenade to see other usage in other kits to be allowed to be used more for it's intended purposes. 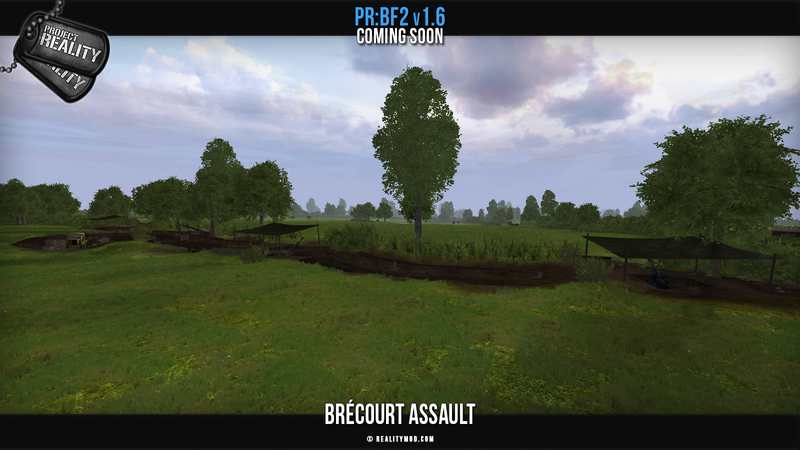 As mentioned in the last status update, Brécourt Assault by Rodrigoma and [R-DEV]Rusty_42 is making its return. The map is now visually completed and outside of a few remaining bugs to fix is ready for release. 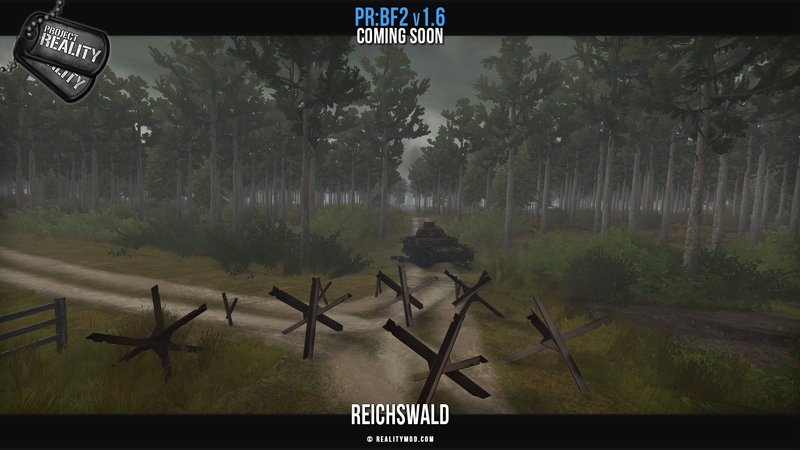 A map announced in the last status update was Reichswald by [R-DEV]Ason. This map is now finalized with it's remaining issues ironed out and final visuals being completed and is ready for release! 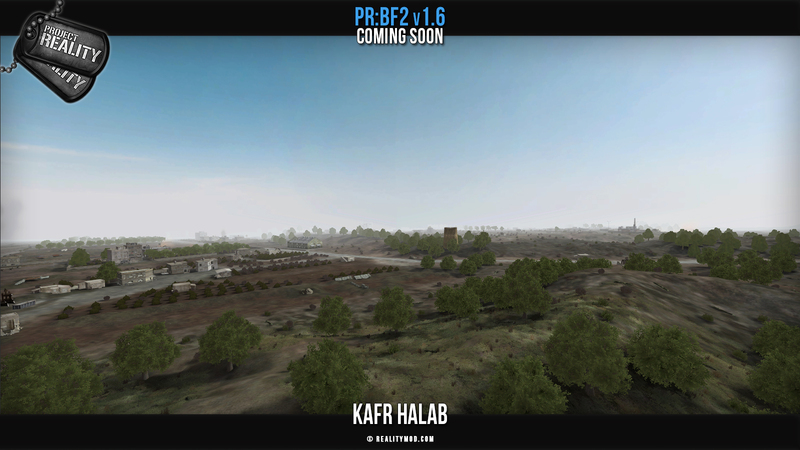 Another map we would like to announce is Kafr Halab (working title) by [R-DEV]Rusty_42 is a 2x2km map inspired by the real battleground of the region in Syria. It will feature Syrian Rebels and MEC Forces against Russian Forces. 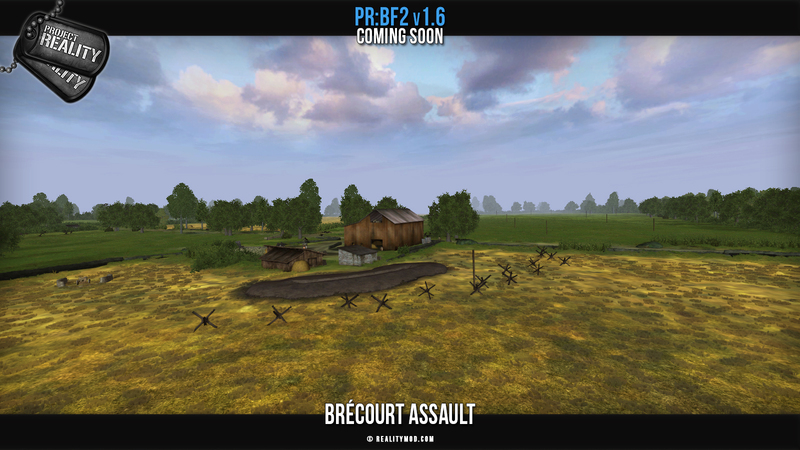 While there is still some work to do before it is ready for BETA, we expect it to be ready for v1.6 in time! 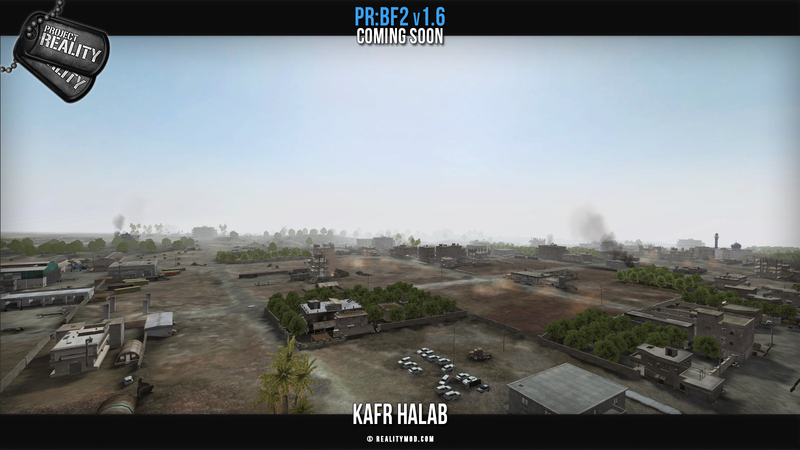 In the same line as the HD fonts by [R-CON]TBob which were recently implemented, we wanted to further combat how PR:BF2 sometimes looks more dated then it should. Another aspect we have now improved this is the menus outside of the game itself. 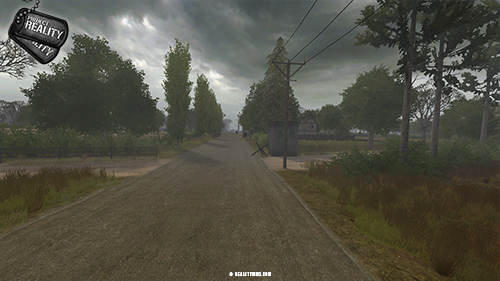 Such as the main menu, options menu or loading screens. We went a minimalist style to better hide the age of the game and use a color scheme more fitting of the today's PR art-style. Taking inspiration from this excellent concept by RENEGADO. We also are making new background videos that are more simple and calm to better fit the new look. We will make multiple and randomly pick one when you launch the game. 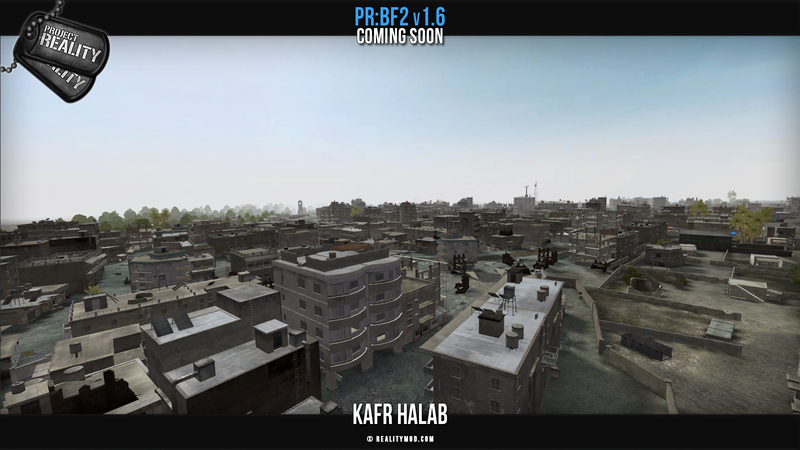 Another change we made is change the target 4:3 aspect ratio of vBF2 to 16:9. 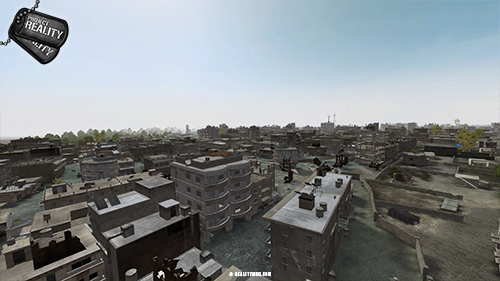 You will notice this when playing in a more modern resolution such as 720p,1080p or 1440p that the menus look less stretched and more natural. We are also making an effort to over the next few releases remake all map loading screens in this new aspect ratio. You can also contribute by submitting your suggestions here! 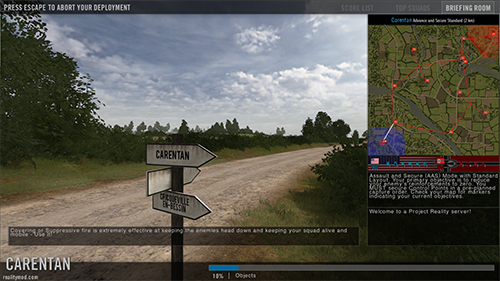 Unfortunately we cannot currently alter the aspect ratio of the in-game menus such as the minimap and kit selection menus. These will continue to look slightly stretched as a result of this vBF2 design choice. Below you can see an example of the new menu and one of the background videos we made, as well as the new loading menu with corrected aspect ratio. We hope that with this update you have a better understanding of the work and passion going into a project such as this. This is a major undertaking and we will need a little more time to finalize all the things we want to include. The biggest hurdle now is finishing everything talked about in this status update and the final vehicle and weapon coding to balance all things out nicely and more testing (who you could join!). The statistic below shows the current state of our v1.6 roadmap. As you can see we have come a long way and are closer then ever! Do note that since our last status update, this now also includes all tasks not WW2 related unlike before. Last edited by Mineral; 2019-03-07 at 19:36..